Focus, precision, and perseverance are essential in golf. Athletes must embody these virtues consistently to compete at the highest level to win tournaments, and those who create equipment for them must apply the same principles to their innovations. Nearly 40 years ago, TaylorMade saw an opportunity to revolutionize the game. It created the first metalwood—a 12-degree stainless steel driver—and has brought to market many game-changing products since then. However, its innovations aren’t limited to the golf course. After its divestiture from Adidas in 2017, TaylorMade saw an opportunity to reevaluate its internal systems and selected Workday Human Capital Management (HCM) to support its employees and leaders. 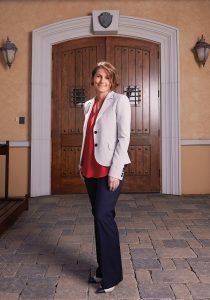 In this interview, Laura Garrett, senior vice president of global HR at TaylorMade, reveals how the company takes an innovative approach to everything it creates—from great products to employee experiences. What sorts of challenges and opportunities does TaylorMade face in the sporting goods industry? As a recognizable consumer brand known for its innovative products and professional athletes like Rory McIlroy and Tiger Woods, TaylorMade is fortunate that we tend to attract a good pool of talent, even beyond the avid golfer population. That said, we still face the same challenges that many other employers face. We’re headquartered in Carlsbad, just north of San Diego, where regional unemployment is extremely low. Of course, we pull talent from outside the region as well, but that can often require a deeper conversation with candidates about how the benefits that come with living in our neck of the woods can accompany a cost-of-living tradeoff. To tackle this reality, we work with other local employers and community leaders in our city’s Regional Economic Development Corporation to collectively address talent attraction and retention in the region. That work covers everything from sharing the story of what our region has to offer beyond the “72 and sunny” message, to discussing tougher economic and policy issues like housing affordability. TaylorMade is built on innovation, creating the first metalwood that has now become a standard for many. How does innovation impact the company’s culture? We like to say that the metalwood is our birthright—the development of that stainless steel driver laid the foundation for our company. More than anything, however, it created an expectation that we would continue to bring breakthrough technology to golfers year after year, enabling better performance for our Tour athletes and amateur golfers around the world. It probably comes as no surprise that innovation is one of our core values, along with passion, authenticity, and competitiveness—all qualities that were key to Gary Adams’ success 39 years ago when he founded the company. Innovation is certainly critical for our research and product teams, but it also shows up across the entire business in the way we build our products, service our customers, and support our people. We look for talented candidates that exhibit creativity and curiosity, then build on that potential using a leadership development curriculum we’ve designed to support employee growth and engagement. We also pride ourselves on creating fun employee experiences that showcase how innovative, passionate, authentic, and competitive our employees are. 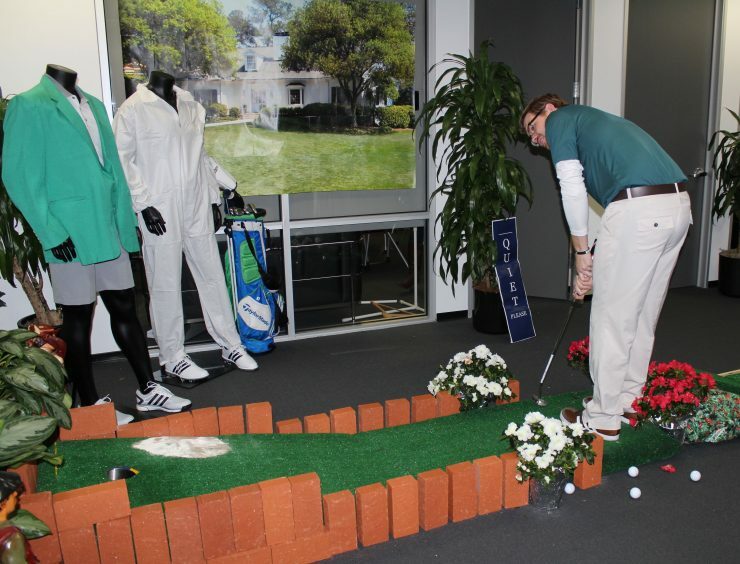 One year, for example, we held a departmental competition during Masters Week to build a “Masters Mini Course,” where each department built a mini-golf hole based on Augusta National (the course where The Masters is played). The results were outstanding, and it became immediately obvious that everyone was an artist, an engineer, a builder and, perhaps most apparent, a competitor. A TaylorMade employee takes a swing on the Masters Mini Course. What prompted TaylorMade to “tee off” a new HR system? After the divestiture from Adidas in 2017, we embraced the opportunity to move to a single, cloud-based HCM platform. We had been on a collection of disparate HR systems that were lightly integrated at best and heavily dependent on slow and costly third-party support. We couldn’t comfortably rely on our global reporting or quickly react to required legislative changes, let alone internal process enhancements. With a global workforce of 1,200 employees across the U.S., Europe, Korea, Japan, and Canada, we wanted more than just a back-end HR tool. We were looking for a single source of truth and a system that could be employee-facing, and we found that in Workday. What benefits has Workday provided, and what can you do that wasn’t possible with your previous systems? We now have the benefit of a cohesive platform with smooth workflow processes and global visibility. During the evaluation of different vendors, we were insistent that our systems and processes needed to support our company culture, so a standard out-of-the-box solution wouldn’t cut it. Flexibility around talent development was especially important to us because we didn’t want to be bound by someone else’s terminology or processes when it came to facilitating performance conversations. Workday gave us everything we had hoped for—the ability to configure workflows and customize help text so that the employee experience could be uniquely TaylorMade. With our previous systems, there was no way to effectively expose data directly to employees and managers. The HR team always had to be the messenger, which took away valuable time. Even if we could have provided better direct access to data, the clunky user interface would have been a significant distraction or frustration for employees, given that they’ve come to expect sophisticated and intuitive software in their daily lives. With Workday, employees and managers now have a self-service tool and they’re able to focus more on strategy than tasks. Even the organization chart feature is a huge improvement over what we used to have. The feedback from employees on the Workday look-and-feel and usability has been extremely positive. How does Workday help support the company’s goals? Even though the divestiture happened in 2017, we’re still heavily intertwined with Adidas in Greater China, Southeast Asia, and the Pacific region, so a major operational goal for this year is to set up new standalone TaylorMade entities in those markets. Having the Workday platform in place will help us fold in those markets more smoothly and ensure that we have visibility into employee processes and data. Better yet, it should help the employees in those regions feel more tied in to our other global offices, building connectedness and reinforcing company culture. What advice do you have for other HR leaders evaluating or adopting a new system? Talk to HR colleagues at other companies about their experience with other HCM systems—both the implementation process and the ongoing experience. We did this prior to selecting Workday because we wanted to ensure that we weren’t influenced solely by what we saw through the selling process. And here’s a pro tip: Use security badge photos as the default profile pics. It serves as a great motivator for employees to login, explore the system, and figure out how to upload a more flattering photo! What are you most looking forward to at the U.S. Open? Seeing our TaylorMade athletes at the top of the leaderboard, of course!